If you have somehow forgotten every emotion that life can hurl at you- happiness, grief, sadness, love, joy, pain- hell, the whole gambit of human emotions, then Moving Mountains will brutally unearth them, and all at once. 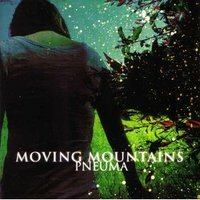 Their debut album Pneuma covers a massive amount of ground, tearing through over 45 minutes in a verdant sound scape that has you on the edge of your seat until the beautiful and haunting end. In this ten song opus, Moving Mountains literally pulls out all the stops, adding lush piano, trombone, strings, and bells. The only thing missing are the whistles.